Salicylic Acid is one of the most effective ways to remove dirt and oil from your skin. It is recognized by the American Academy of Dermatology as one of the best acne treatments on the market for exfoliating the build up of dead skin cells. Beta Hydroxy Acid ( BHA ) or salicylic acid works by penetrating deeper into the skin that other treatments, such as AHA or alpha hydroxy acids. One other benefit is how beta acids can control the sebum excretion glands, which is the glands that make the oily secretion that can cause acne. 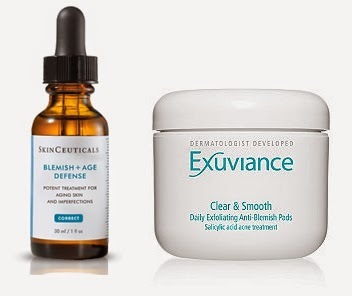 Skin pores flush out the dead skin, control oil, and remove excess dirt with salicylic acid. Many estheticians can administer a salicylic peel that is at a higher concentration than most over the counter products on the market.